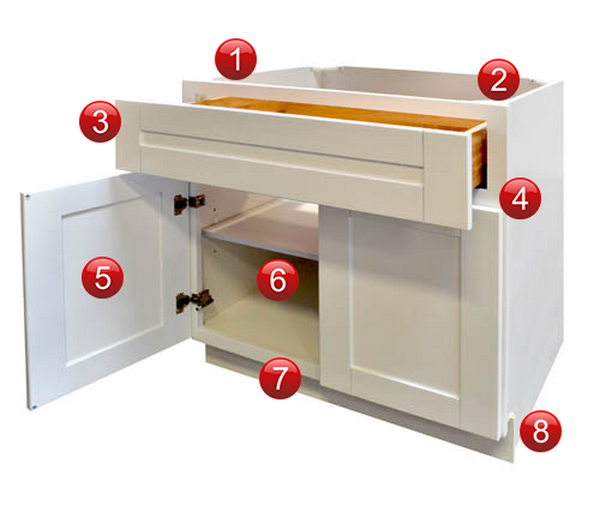 What are RTA kitchen cabinets? 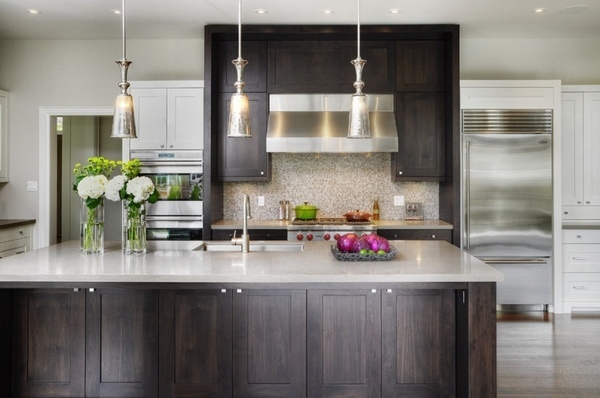 How are they different from conventional cabinetry and why should one choose this option? Where can you find them? We shall give you the answers of all these questions and see the pros and cons of RTA cabinets. 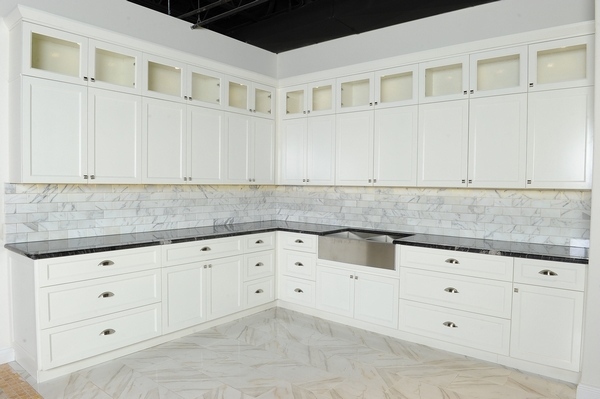 To begin with – RTA kitchen cabinets are “ready to assemble” cabinets and if you are planning to buy a new kitchen or remodel your dated interior, kitchen cabinets that are ready for assembly can be the perfect solution. Whether you plan a major renovation or you are moving into a new house or apartment, it is the kitchen that is “the heart” of every home. When furnishing your home, it is clear that you would like to create a comfortable and good looking interior. 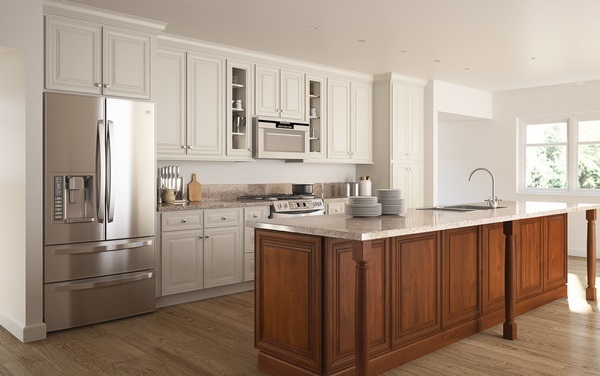 Nowadays the market offers numerous options for large and small kitchens, open plan living spaces, and you can choose from unique custom made cabinetry to high quality modular kitchens. 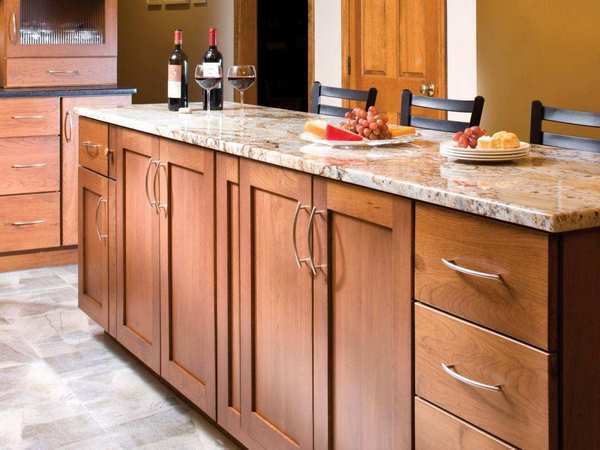 Why choose RTA kitchen cabinets? What are their pros and cons? Let’s find out! 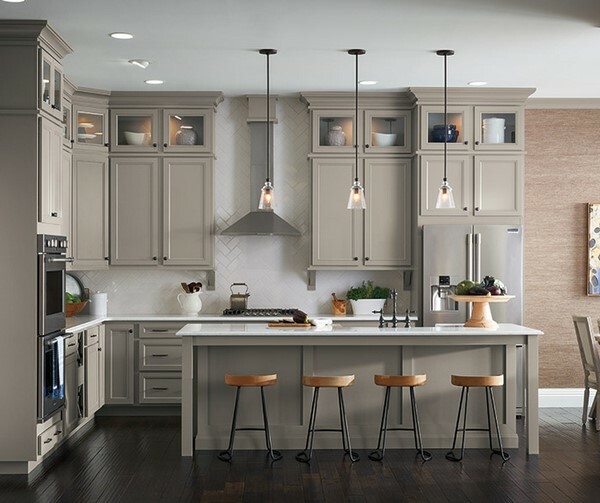 Visual appearance – one of the advantages of ready-to-assemble cabinetry is that it is offered in almost any color and style and you can find a contemporary design with strict geometric lines or, if you prefer Mediterranean decor, French country or Provencal interiors, you shall definitely find the right cabinetry. Manufacturers offer a variety of wood veneer that you can choose from – cherry, oak, hickory wood, etc. which can satisfy every taste. Quick delivery – this is a valuable advantage for all homeowners who do not want to wait for months until their custom made cabinets are made. Usually RTA cabinets are delivered within a few weeks. Easy transport – this is another great advantage, as these cabinets are neatly packed in flat cardboard boxes and it is much easier to load-transport-to-customer-unload. Getting the boxes into the home is also easy which is very important for older houses with narrow staircases or when you have to move the packs to a basement or an attic. 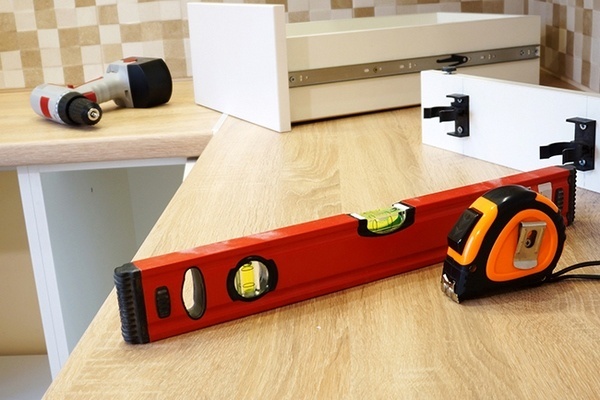 Easy installation – you need some simple equipment and skills to install your ready to assemble cabinets and people who prefer DIY projects will cope with the task without a problem because they come with pre-drilled holes and instructions how to put them together. 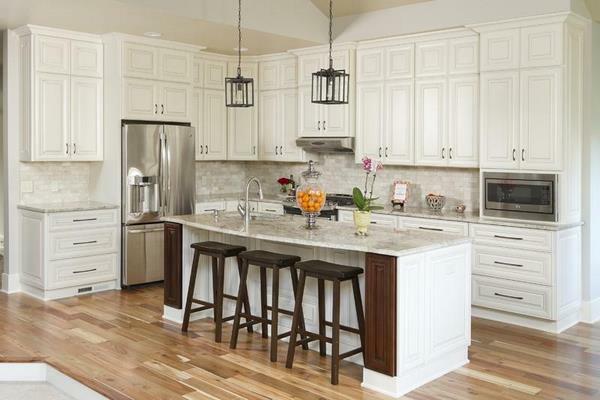 A great benefit is that your kitchen will not be cluttered with all the upper and lower cabinets waiting to be fixed. You can arrange the boxes in one corner and assemble the items one by one. An additional benefit is that customers save on installation and labor cost if they choose to assemble the cabinets as a DIY project. 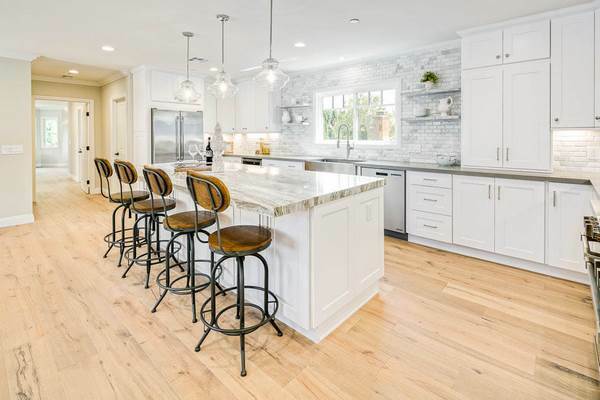 You know that this can be a serious expense when you order custom made or modular cabinetry as most stores prefer to work with licensed installers to avoid claims. 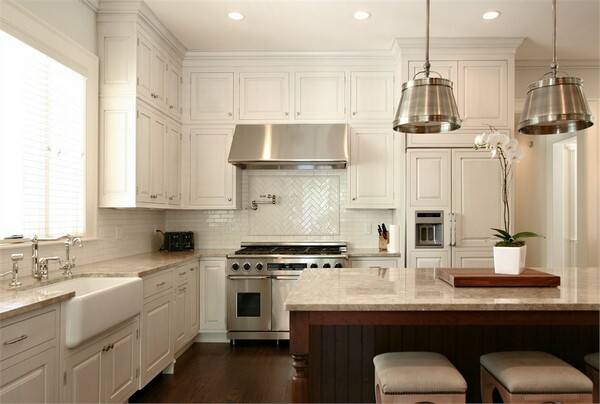 Price – last but not least, and most often one of the greatest considerations, is the cost of kitchen cabinets. Custom made ones can cost a small fortune and with the added cost of installation the expenses may reach a pretty high level. 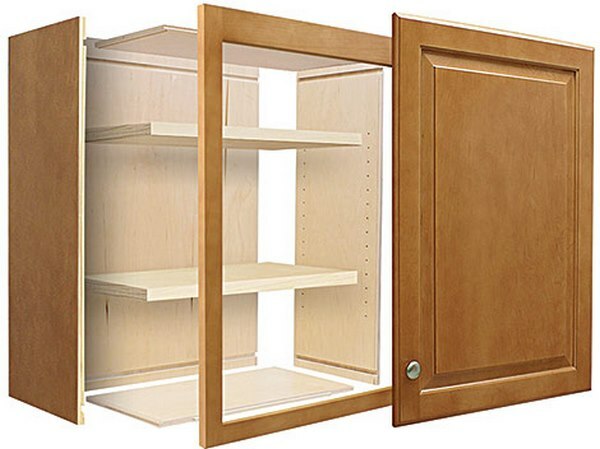 The price of unassembled cabinets usually includes the shipping which is a significant saving. 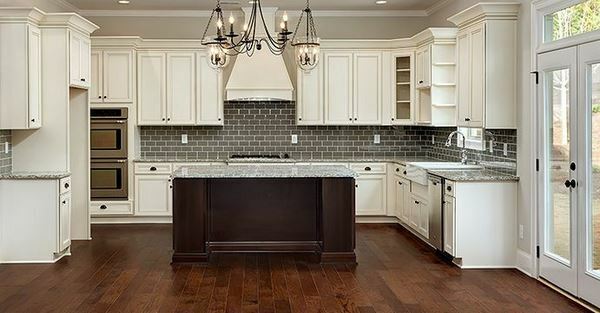 As per experts, you can have up to 50% savings if you bought your cabinetry from a big box store. 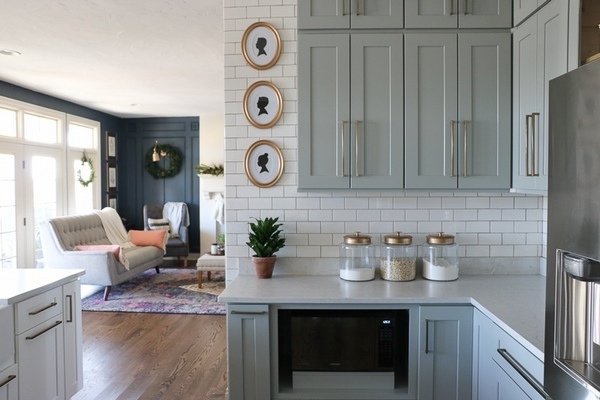 However, you need to keep in mind that, typically, any extras like wine racks or lazy-susans are not included in the price and if you want any special storage like roll-out spice racks, for example, they will add to the cost. 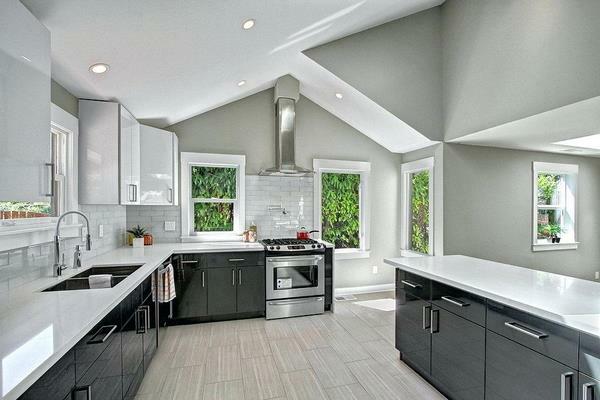 What is important to know before buying RTA kitchen cabinets? 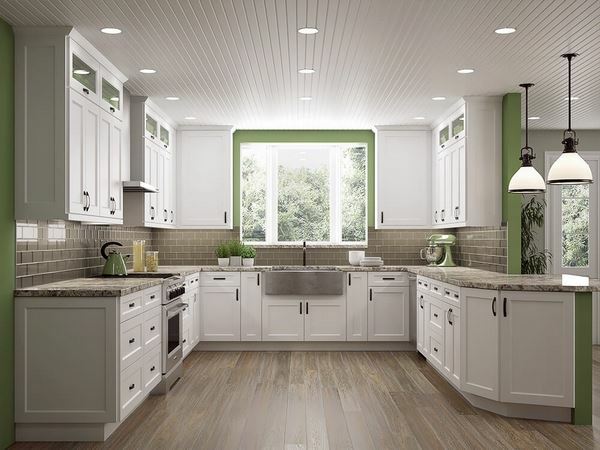 Start with drawing a sketch of your kitchen and if you plan to change the layout, mark the location of cabinets, sink, refrigerator, oven, etc. 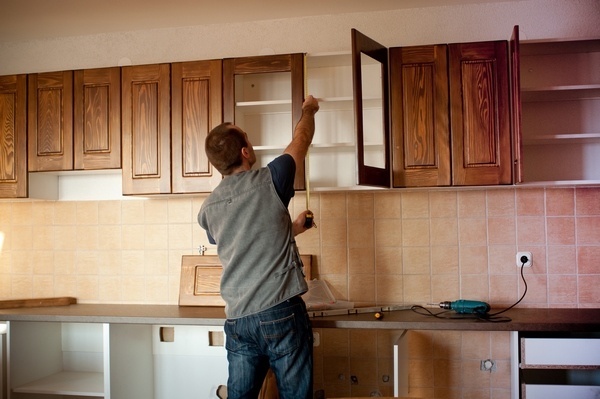 Remove your old cabinets and any other furniture from the kitchen and if necessary, move plumbing, electricity and gas supply where you will need them. Measure carefully and accurately the available space. Some people prefer to draw the new cabinet layout on the walls for a better visualization. Due to the fact that RTA cabinets are not custom made, there is a great probability that they may not fit exactly to your space. To avoid unpleasant gaps, you need to think of filling the space with panels from the same material to achieve a uniform look. Once you are ready with the plan, check your measurements to be certain that they are accurate. This may sound like too much trouble but may save you a lot of money and headache when it comes to installation. 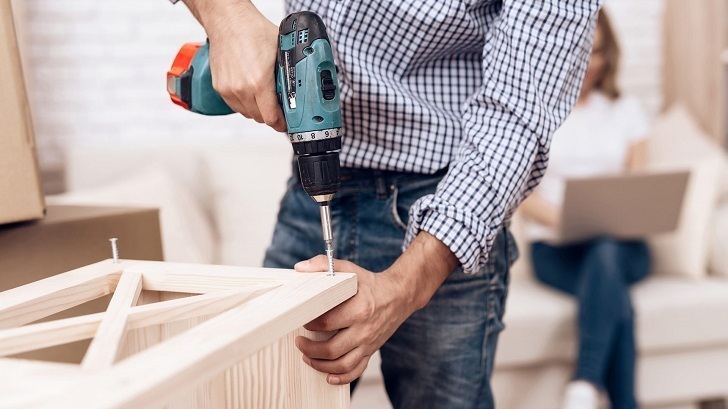 Prepare the tools you need for assembling the cabinets – screwdriver, drill, mallet, level, pencil, screws, step ladder, etc. Make sure you have enough space for working. If necessary unpack the boxes one by one, assemble each cabinet and set it on its place. Cluttering the kitchen with unpacked cardboard boxes and pieces of wood may create a chaos. When assembling the cabinets by yourself, make sure you planned enough time for the project. As easy as this task may seem, it does take a while and may not be completed in an afternoon. Work slowly, without rushing, as this will affect the final appearance. Always remember that the successful projects are the ones that are well-planned and measured! The post RTA kitchen cabinets – an affordable solution for every home appeared first on Deavita Interior design and Architecture Magazine.